Wow! it has been a really busy few days... so much so I can't keep up with all the online goings on! 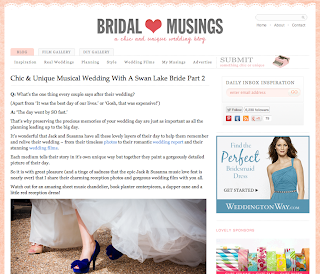 Today, we were featured on one of our favorite wedding blogs Bridal Musings for the wedding film we shot in Bishops Stortford for the incredible Jack and Susanna! Not only was their wedding pretty epic, but it just so happens that these two are simply 'epic' people. 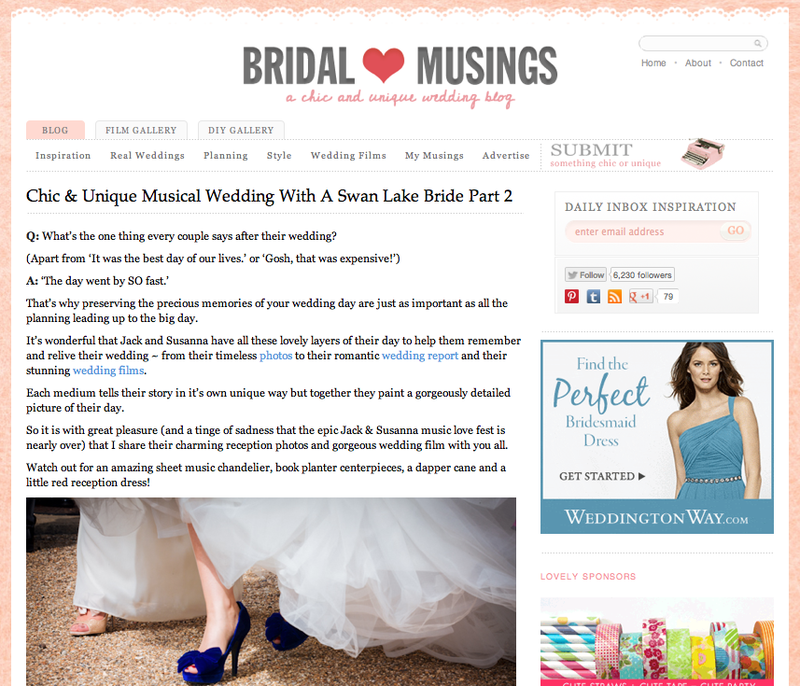 So, a HUGE thank you to Bridal Musings for the feature and also to Mr. and Mrs. Squires for letting us tell their story. If you missed the very different trailer (a wedding in reverse) the first time... then check it out below! Wow. Amazing, Nick. So cool.